A warrant is a derivative security contract that entitles the holder of the warrant to buy the underlying stock at a fixed price (the exercise price) at any time before the expiration of the warrant. In this respect, warrants are similar to options. The biggest difference between the two is that the option is sold by the market -- often the forex -- whereas a warrant by the issuing company itself, usually a financial institution, but sometimes the corporate issuer of the stock. Legal Limitations of Warrant Sales in the U.S. 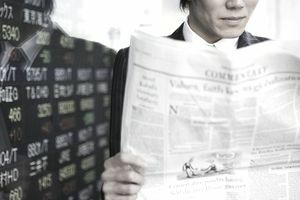 There are some limitations on the purchase, execution or sale of warrants in the U.S. For example, a U.S. investor could conceivably find herself in a position where, after legally purchasing a Canadian warrant in the U.S., she cannot execute it because the underlying stock is not U.S. registered. In most cases, warrants offered through reputable U.S. brokerages are not subject to these limitations. Each brokerage has its own warrant policies, including its financial requirements for investors. Consult your brokerage and ask for a copy of their policies on warrants and options before proceeding. Warrants are traded in the same manner as options and use many of the same terms, such as strike price. However, there are a few differences that need to be taken into account when trading warrants. Like options, warrants give the buyer the right (but not the obligation) to buy or sell the underlying security, at any time up to the expiration date. Note that U.S. and Canadian definitions of expiration date differ. Briefly, U.S. warrants can be sold at any time prior to expiration; Canadian warrants are sold at the expiration date. Consulting your broker about the implications of these differences is advisable before executing a trade. Like options, Warrants are either call warrants or put warrants depending upon the direction of the underlying trade, and warrants are in profit or loss depending upon the underlying market's price in relation to the strike price. Unlike options, warrants are issued by financial institutions or by the company issuing the underlying stock. Warrants also tend to have lower premiums and therefore may be leveraged even more than stock options. This, in turn, increases the volatility of warrants and, with that, your risk of loss. Individual stock warrants give the warrant holder the right to buy or sell the underlying stock. The amount of stock bought or sold is determined by the warrant's multiplier. For example, a stock warrant with a multiplier of 1 would entitle the holder to one share for each warrant, but a warrant with a multiplier of 0.01 would require one hundred warrants for one share. In order to determine how many warrants are required for a particular trade, the trader must divide the number of shares they want to trade by the warrant's multiplier. For example, a trader that wanted to buy one hundred shares using warrants with a multiplier of 0.1 would need to buy one thousand call warrants (calculated as 100 / 0.1 = 1000). Stock index warrants give the warrant-holder the right to buy or sell the underlying stock index. When, as in the initial example above, the index cannot be traded directly, stock index warrants are settled in cash. Some warrant strategies, however, assume that the underlying stock will never be purchased. The contract specifications for warrants are similar to the contract specifications for options, but some of the specifications can vary from one warrant to another (even with the same underlying market). The expiration date and the multiplier are the most likely to vary, but there may also be minimum trading sizes (e.g. a minimum of 100 warrants). With the increased use of the Internet for trading purposes, it's easier than before to buy warrants over the Internet that cannot be legally purchased in the U.S. This is a highly inadvisable strategy that dramatically increases your risk of loss. Warrants, because they are highly leveraged, are a risky investment product, to begin with.